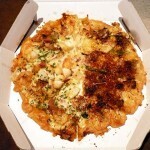 Last time, I introduced Teriyaki and Shrimp mayonnaise pizza. 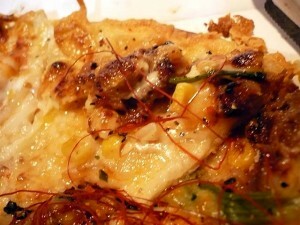 Today, I am going to introduce Japanese unique pizza again. 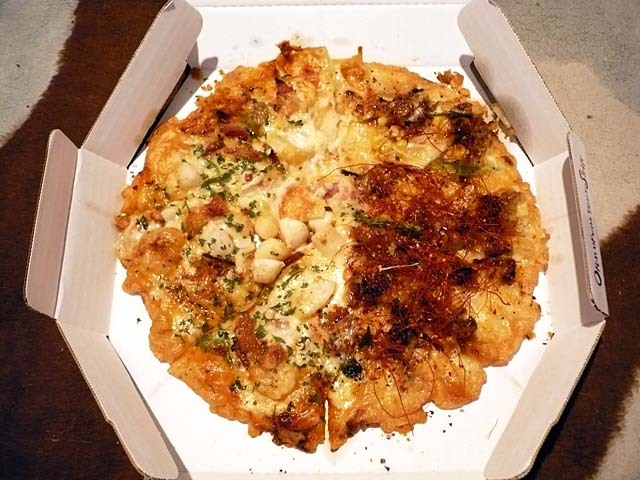 The pizza shown in the pictures is half & half pizza from Pizza-LA. 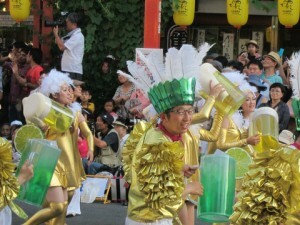 It’s medium sized and about 2,300 yen (25 US dollars). The left half is Seafood and the right half is Korean Bulgogi, which is marinated barbecued thin sliced beef. 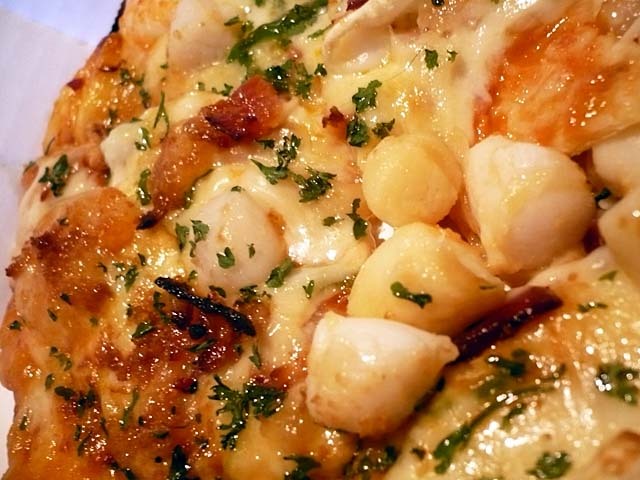 The Seafood pizza has tomato sauce, extra cheese, scallops, shrimps, calamari, apple wood smoked bacon, parmesan cheese, garlic, onion, green pepper, and parsley. All kinds of flavors on this one but they are in perfect harmony!! The Bulgogi pizza has special sauce marinated bulgogi, spinach, garlic, corn, onion, mayonnaise, black pepper, and shredded red chili pepper. No sauce on this one.